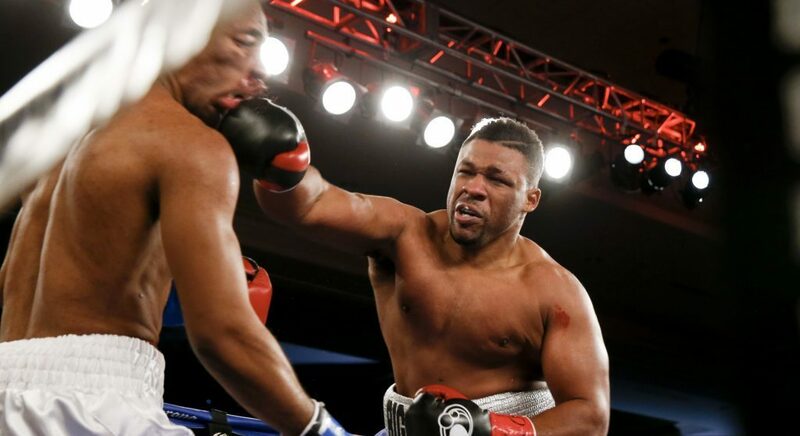 Jarrell Miller’s quest to become the WBA heavyweight champion has gotten a bit clearer this week, as Fres Oquendo has turned down an offer to face him. Oquendo, who was set to face Manuel Charr, who would be pulled from the fight and soon to be stripped of the WBA “regular” heavyweight title, was set to face Jarrell Miller on November 17th in Atlantic City, New Jersey. According to a report from ESPN, Oquendo would turn down a $500,000 offer from Matchroom Boxing to fight Miller on the DAZN fight card, claiming there was not enough time to implement a VADA testing program. Stepping in to face Miller will be Bogdan Dinu, who was set be on Saturday’s Kubrat Pulev-Hughie Fury title eliminator. Miller is still waiting to agree to the fight, which is set to be announced next week at a New York press conference, marking his first fight since a thrashing of Tomasz Adamek in Chicago on October 6th.